Rock, Paper, Paint is getting out there for the events that are going on around town. 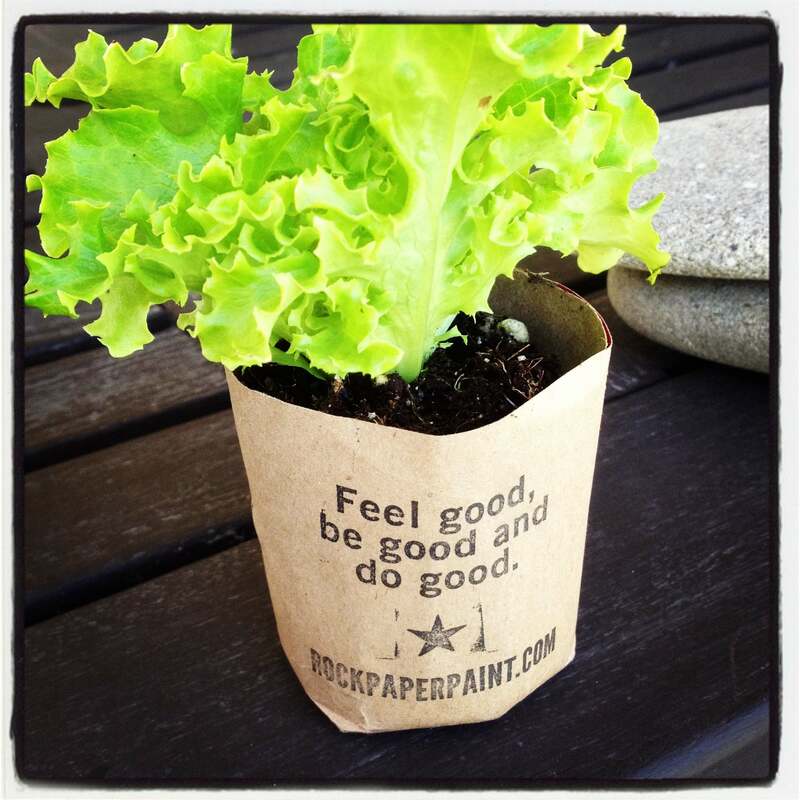 Here are some that Paint is doing, also to help promote Earth Day — we have made some paper pots from old grocery bags and rubber stamped them planted them with either lettuce or cuttings from Paper’s amazing garden. These are little giveaways so find Paint today and tomorrow for yours and just plant the whole thing paper and all. Enjoy! Farmscape pop- up design center 2. A number of local artists, including Bonnie Lambert, plein air paint for two days in the beautiful Arlington Garden. All paintings will be available for sale. NW corner of Arlington Drive and Pasadena Avenue in Pasadena • arlingtongardeninpasadena.org • 626-441-4478 There is simply no place else like Arlington Garden in Pasadena, or elsewhere in the San Gabriel Valley. Its Italian style olive allee, numerous succulent and cactus gardens, an Arroyo Seco-like pathway flanked by sycamores leading to a vernal pool, orange grove laid out in grids like historical California orange groves, paths and benches set throughout plant communities, and its “surprises around every corner,” make Arlington Garden an indescribable Pasadena landmark which has to be visited to be appreciated.